Thanksgiving dinner means leftovers, and the same goes for home remodels. If you've got an extra stack or two of tiles, put them to work with one of these "grout" DIYs! When you take on a tiling project, it’s always a good idea to buy about 10% more than you’ll need for the job—just in case you make any mistakes while the project is underway. Still, that could leave you with a few extra tiles after you wrap up that bathroom remodel. Before you throw them away, consider turning them into free home décor with one of these easy projects. In the kitchen or bath, create an accent wall, a doorway surround, or a scaled-down backsplash behind the sink. And if you want to give your builder-grade cabinets a boost, removing the doors and tiling the back panel is a low-effort way to add color and personality—without breaking out the paint. Depending on how much have left, you can also top off a kitchen island or table to make the surface more durable and kid-friendly. 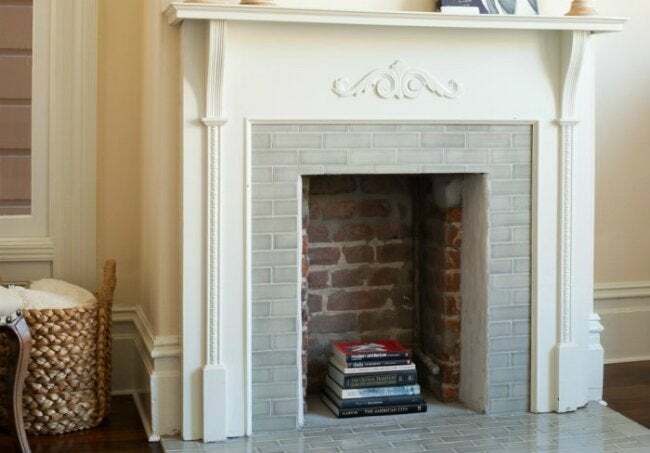 Tile can even add polish to an otherwise plain fireplace. Outside your home, use those leftovers to redo an old wooden planter box. For even more curb appeal, glue a trio of tiles to some scrap wood and paint on your house numbers to make an eye-catching address marker. They also make show-stopping borders for a garden walkway, fire pit surround, or an outdoor barbecue area. Bob Vila Radio is a 60-second home improvement radio tip of the day carried on more than 186 stations in 75 markets around the country. Click here to subscribe, so you can automatically receive each new episode as it arrives—absolutely free!